It’s St Patrick’s Day! A day of dressing in green, dancing in green and most importantly drinking in green! If you are looking for a cool way to kick-start your day, look no further, we have the perfect green juice to keep you awake for this exciting day! The ‘Wake Up Call’ juice is a mixture of cucumbers, apples and mint leaves, combining to create a low-calorie very nutritious drink containing vitamins B,C and K. Did you know that cucumbers consist of up to 97% water and have only 12 calories per 100g. This is definitely a guilt-free drink. Click here to read the recipe plus lots more. All made in the new MJ-L500 slow juicer. You may be thinking, what machine or product is best to do this in? Well the Panasonic Slow Juicer is designed for you to quickly create healthy drinks and smoothies, without damaging important nutrients and enzymes. Available in three colours, silver, champagne and red, the new MJ-L500 will easily fit on your kitchen worktop and includes an innovative frozen attachment, which is perfect for creating frozen foods and drinks for family & friends with ease… and won’t get in the way too much if you are throwing a St. Patricks Day party! 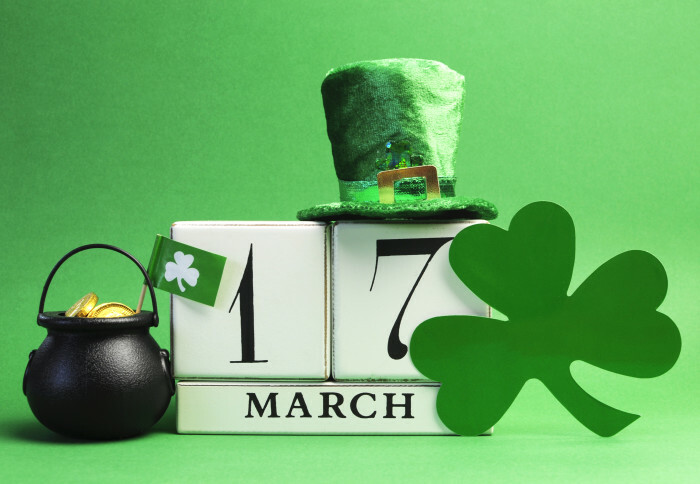 So what is today all about?It’s that one day a year where everyone is a little green (and not with envy). In fact, almost 12% of Americans claim Irish ancestry and over 80 million people worldwide claim ancestral connection to the auld sod. Saint Patrick is the patron saint and national apostle of Ireland. St Patrick is credited with bringing Christianity to Ireland. Typically, Christians attend church services, however the Lenten restrictions on eating and drinking alcohol are lifted for the day, which is why the classic celebration venue is a bar or pub!